Alex Ludden takes us on a tour of the Salt & Pepper Shaker Museum in Gatlingburg, Tennessee. America’s only Salt & Pepper Shaker Museum in Gatlinburg, Tennessee is the culmination of a lifelong passion of owner and curator Andrea Ludden. 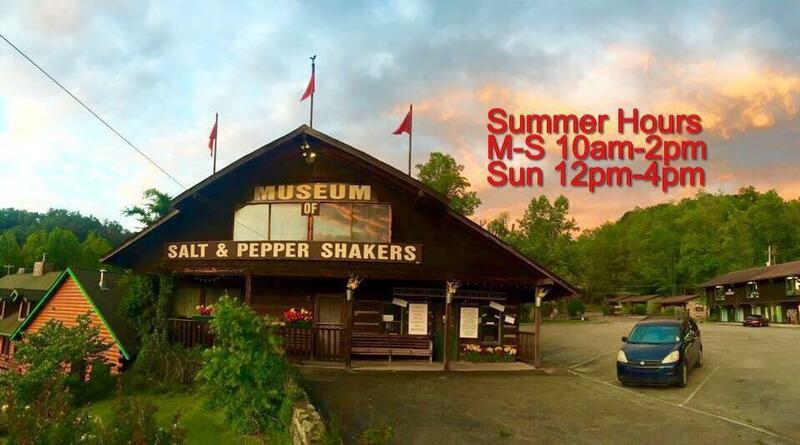 Join Andrea’s son, Alex for a tour of the amazing little museum and its collection of more than 20,000 salt & pepper shakers, including 15,000 pepper mills that are visual metaphors for cultural trends in America’s past and around the world. Most people come to Gatlinburg to experience the Great Smoky Mountains and many discover the fascinating museum by serendipity, as did I. Correspondent Tom Wilmer reports from the Great Smoky Mountains National Park at the Sugarlands Visitors Center, just 11 miles from Gatlinburg, Tennessee. Ranger, Jennifer Hale talks about the park’s astounding biodiversity, activities and history. Jonathan Ball, Vice President of Operations for the Rocky Top Wine Trail in Eastern Tennessee talks about the local wine specialties, supporting Friends of the Smokies, and life in Gatlinburg post-fire. Jonathan Ball with the Rocky Top Wine Trail in Eastern Tennessee talks about the trail that includes wineries in Sevierville, Pigeon Forge, and Gatlinburg. owners and visionaries, Karen and Bob Bentz talk about their new mountaintop destination in Gatlinburg, Tennessee. Anakeesta marks a new dimension in Gatlinburg, Tennessee-- a popular base camp for vacationers who have come to these parts to experience the Great Smoky Mountains National Park since the 1930s. The Anakeesta adventure begins with a high-tech combination gondola, chairlift base station in the heart of town. Atop the mountain is Firefly Village, a zip line course, and treetop canopy walk 40 to 60 feet above the forest floor. Join visionary partners Karen and Bob Bentz. Marci Claud talks about cool things to do and see in Gatlinburg. Nelson Ziegler shares his passion for the legendary Arrowmont School of Arts and Crafts. An overview of cool things to do and see in and around Gatlinburg, Tennessee--the gateway to the Great Smoky Mountains National Park. Sugarlands Distilling Company in Gatlinburg, Tennessee uses traditional corn and rye, but infuses their “Shine” with an array of flavors, including dark chocolate, butter pecan, and apple bacon. A conversation with Kris “Tugboat” Killingsworth, Tastings Manager at Sugarlands about the trendy new world of Shine.